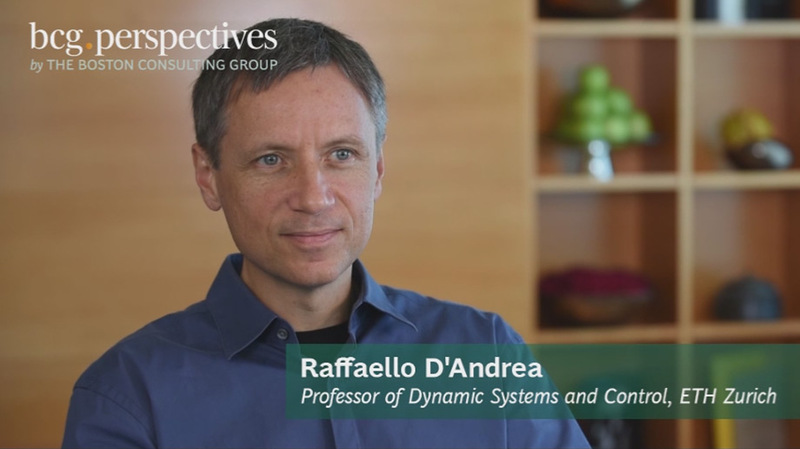 Massimo Russo, a senior partner and managing director in the Boston office of The Boston Consulting Group and the regional leader of the Technology Advantage practice in North America, recently spoke with D’Andrea about the future of robotics. Edited excerpts from their conversation follow. One of the biggest advantages of learning and adaptation is that it allows you to create powerful systems that are inexpensive to make. If you try to make a very precise robot, it costs a lot of money. If, however, you relax that requirement to make a machine that right off the bat is high performance, and let it learn and adapt tobecome high performance, it becomes economically viable to deploy such a machine. I think learning and adaptation will have a huge impact on how we make machines.